Get plenty of bang for your buck with our popular ladder shelving. 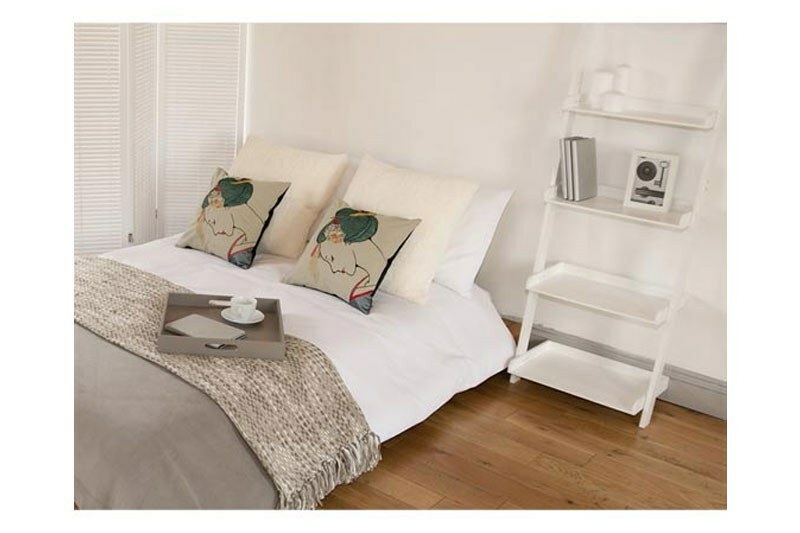 Make the most of every inch of space in your home, leaning the ladder shelf against the wall and moving it whenever you fancy a change. Supplied with non-slip silicone pads for top and bottom, these versatile little pieces are landlord-friendly and don’t need to be fixed to the walls (though there’s a discreet hole for your wall screw too – just in case you have dogs or children running round). 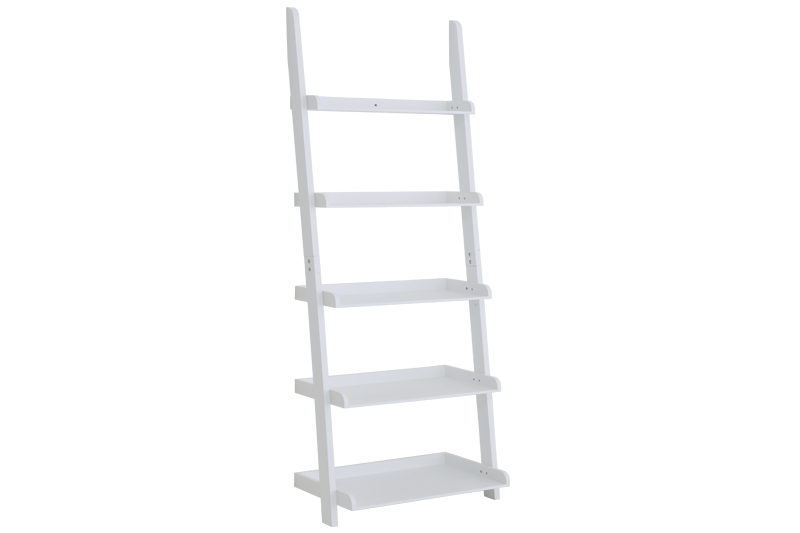 Inexpensive, this size of Ladder Shelf is available in white made using painted MDF.